West Dunbartonshire’s MP has added his backing to a Private Members’ Bill which would allow more refugee families to be reunited in safety in the UK. The Refugee Family Reunion Bill, published this week at Westminster by SNP MP Angus MacNeil, seeks to support refugee families who are fleeing conflict and persecution. 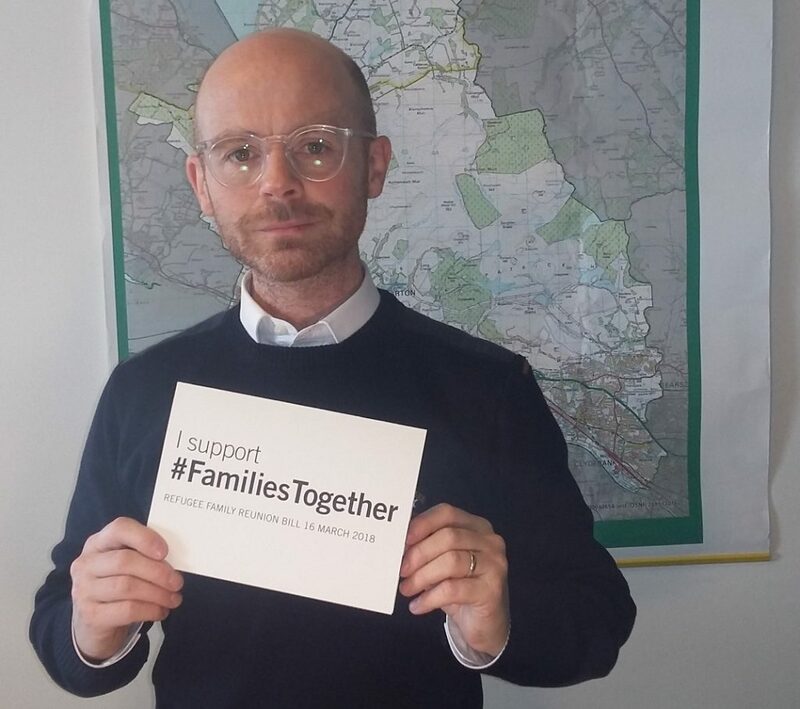 Local MP Martin Docherty-Hughes has pledged to support the campaign to reunite refugee families when the Bill is heard in parliament on 16th March. Reintroduce legal aid so refugees who have lost everything have the support they need to afford and navigate the complicated process of being reunited with their families. “Scotland has a long history of welcoming people fleeing war, conflict & persecution. One of the issues my constituents in West Dunbartonshire contact me about most often is the plight of unaccompanied child refugees. “This Private Members Bill has support from members from six parties – Government and opposition. It is not party political it is a humanitarian issue and would bring the UK into line with a majority of European countries if passed. Clearly we can all understand the anguish people would feel from being separated from family members by the stroke of a bureaucrats pen whether deliberately or accidentally.